Let’s explore this giant race of people together according to the Scriptures provided to us in the Bible. 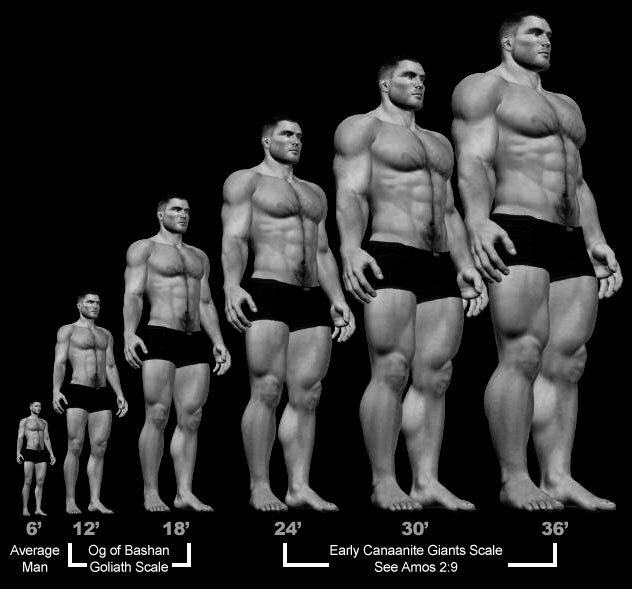 It is believed by many that this race of giants were created when “the sons of God” came unto the daughters of men and bare children to them. Many will argue that this refers to the godly line of Seth, which intermarried with the daughters of men, alluding to the ungodly line of Cain. When you look at all the facts, I will show how this theory is not likely. 32. And they spread among the Israelites a bad report about the land they had explored. They said, “The land we explored devours those living in it. All the people we saw there are of great size. The term “sons of God” is used twice in the Old Testament to refer to angels which is Genesis 6 and Job 1:6;2:1. There is a debatable third in Deuteronomy 32:8 where it is rendered “children of Israel” whereas the Masoretic text refers to angels. Here is a link for this reference Click here. The Hebrew Bənê hāʼĕlōhim is where we get the English term sons of God. In Job there seems to be meetings where the sons of God would come to present themselves before the Lord, and Satan is considered one of them as he was there too. That the same Hebrew words are there Bənê hāʼĕlōhim. the phrase explicitly references angels. This is supported by the Septuagint version of the Codex Alexandrinus, which, in Genesis 6:2, renders the phrase “angels of God”. Since Classical antiquity, Biblical expositors such as Justin Martyr, Eusebius, Clement of Alexandria, Origen and Commodianus have held the view that the “sons of God” in Genesis 6:1-4 were fallen angels who engaged in unnatural union with human women, resulting in the begetting of the Nephilim. Modern Christians have argued against this view by reasoning on Jesus’ comment in Matthew 22:30 that angels do not marry. Jesus said “but are as the angels of God in heaven.” In heaven is the key word here. The Nephilim were on the earth in those days—and also afterward (flood)—when the sons of God went to the daughters of men and had children by them, the same became mighty men which were of old, men of renown. Genesis 6:4 implies that the Nephilim have inhabited the earth in at least two different time periods—in antediluvian times “and afterward.” If the nephilim were supernatural beings themselves, or at least the progeny of supernatural beings, there is a theory that the “giants of Canaan” in Numbers 13:33 were the direct descendants of the antediluvian nephilim, or were fathered by the same supernatural parents. Ask ourselves these questions: If the children of Adam’s sons Seth and Cain intermarried, why would it produce a race of fierce giants? Why would the Scripture say The Nephilim were on the earth in those days—and also afterward? This would be obvious if it were the case. Would Noah who was a just man (Gen. 6:9) and his family, the only survivors of the flood have intermarried with the line of Cain? And the angels which kept not their proper domain, but left their own habitation, He hath reserved in everlasting chains under darkness unto the day of judgment of the great day. These angels did not stay in their “proper domain”, they left their own habitation in heaven. These angels are reserved in everlasting chains in the abyss or Sheol. What did these angels do that was so terrible that God threw them in hell in everlasting chains until judgment day? Especially when there is free roaming demon angels, and Satan himself, enticing man away from God that are not reserved in hell until judgment day. Apparently these angels did some sort of abomination that sorely grieved God for such a punishment. Remember, the LORD was sorry that he had made man on the earth, and it grieved Him at His heart. (Gen.6:6) This is when He destroyed the earth with the flood. Wickedness has always been in the earth. Jesus said, “ And because iniquity shall be multiplied, the love of the many shall wax cold.” So it only gets worse! So what was so different before the flood? Angels that did not keep their proper domain and fell to earth and bore children with daughters of men makes more sense as to why God was so grieved that He flooded the earth for mans wickedness and threw these certain angels into hell in everlasting chains. Og king of Bashan was a remnant of giants and he had a bed of iron that was 13 and half feet long and six feet wide (Deut. 3:11). There are many references to Og king of Bashan. 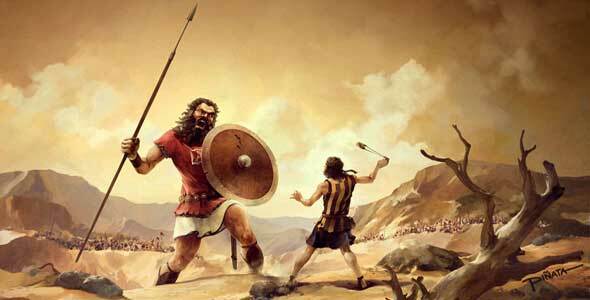 Joshua 13:12 says Moses fought the giants, defeated them and cast them out of the land. This spear is given the same reference to Goliath’s spear which the head weighed six hundred shekels (about 17lbs) of iron with an estimated length of 26ft long. In Amos 2:9 we read that there were Amorite’s whose height was “like the height of the cedars” and as strong as the oaks. Some reference taken from wikipedia. ‹ După ce a vorbit de frânghie în casa spânzuratului cu Liga Arabă, Trump vorbește despre Dumnezeu, familie și națiune în casa bântuită de strigoi a Europei !! !